We had a unique opportunity to land on the moon at the Charles Schultz Museum in Santa Rosa, California. I'm a sucker for a good children's exhibit, and this one (showing through July) was a winner. 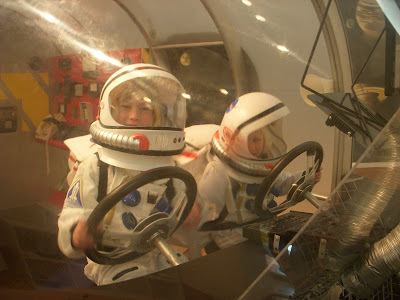 Upon entering the 'Snoopy Museum', the kids beelined for the spaceship, zipped into space gear, and happily lugged their large space backpacks to the control center for T-10 countdowns. Be sure to visit Delicious Baby's Photo Friday for more ideas on where to land this summer. I have never heard of this place but now that I have, we definitely have to go! It sounds fun and my kids are big Peanuts fans. Oh my goodness, their little space suits are fabulous! How cute is that! I'm going to have to try to make it up there before it leaves. 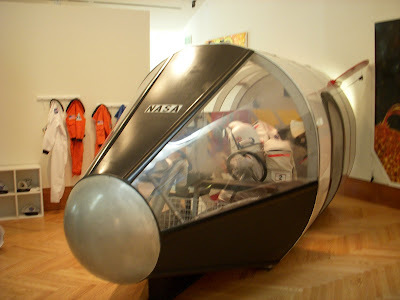 Do you know the name of the exhibit? 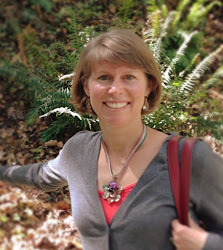 Maybe I can talk my friend who works for the Children's Discovery Museum of San Jose to bring it there. Love, your space girls. So we went to the museum last summer, mostly to pacify my mom who loves Peanuts, but they didn't have that exhibit there then. Would've had lots of fun if it had been. Looks like a blast! How cool that they had complete suits for the kids. I don't know where those ladies are flying, but I'd gladly go with them. 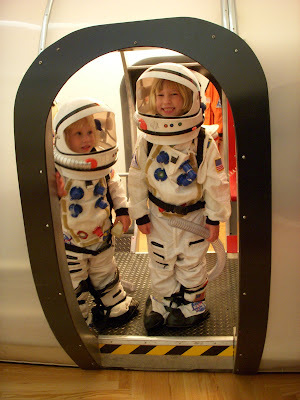 Look how adorable they are in their astronaut outfits! These are such cute pictures! I wish I lived closer and could take my kids there.